The Little Britain Challenge Cup is organised by - and for - the Construction and Property Industry. All of the major architects and contractors send teams to the event and most participants are high-level industry professionals and big decision makers. he event has 4 races - two on Friday and two on Saturday. The Royal Yacht Squadron organise the racing and set the courses - giving competitors the added excitement of Squadron line starts. 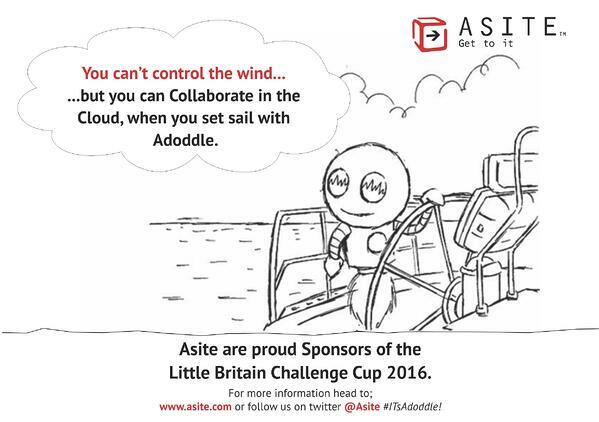 Asite are proud to Sponsor this year’s event, the Ateam and Adoddle will be on location throughout the three day event!